Those PSAs in the subway are right: Walking around the streets of NYC with your head buried in your smartphone is both a recipe for disaster, and an easy way to miss all the exciting things happening around you on a given day in the city. 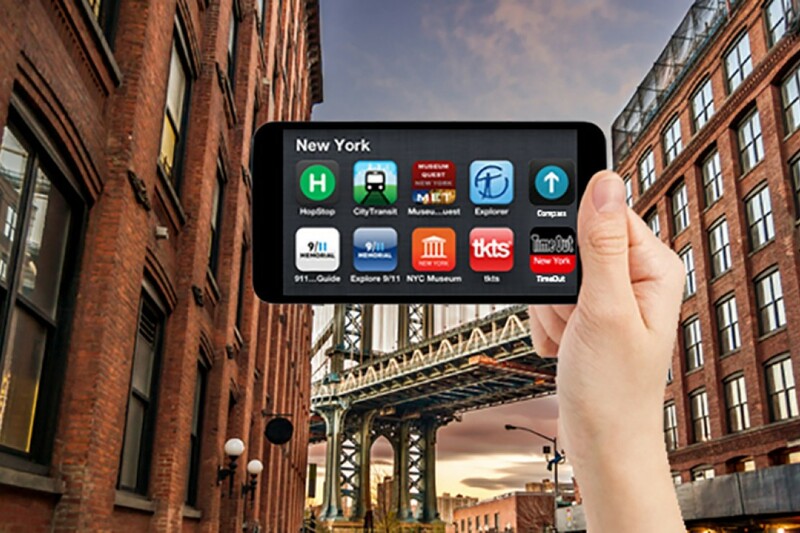 NYC has, unfortunately, lost some of its most beloved subway apps in recent years—RIP, HopStop and EmbarkNYC. And while we do recommend good old fashioned Google Maps as part of your NYC navigation arsenal, it's also worth supplementing with KickMap, a map of the New York City subway that, crucially, still works while you're underground and don't have cell service. It also pulls up directions within a three-block radius of your intended destination, and will send you transit alerts if there's a change in service to one of your preferred lines. All well worth the $2.99 investment. 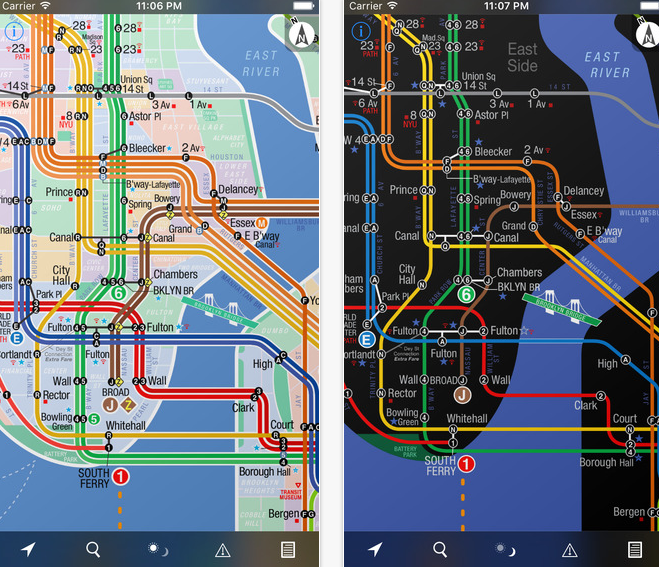 What, you thought you'd need just one app to help you deal with the subway system? Unless you're planning to be chaufeurred around day-in and day-out, the MTA is going to dominate a large part of your day in NYC, and especially for newcomers, it's worth having as much help as possible. 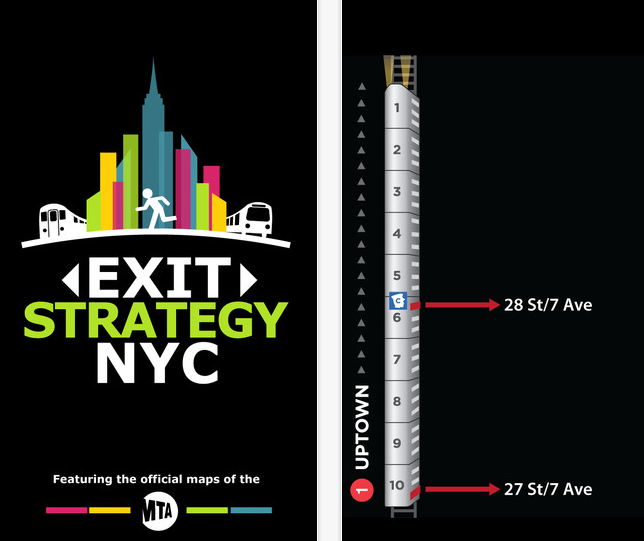 While Google Maps and KickMap can help you plan your route, Exit Strategy (which costs $3.99) takes your game to the next level, showing you the best place to stand in a station and where to exit to make your trip as efficient as possible. All of which saves you the very real irritation of wandering around a cavernous subway station, only to find yourself getting out 10 blocks from where you need to be, and suddenly running very late. 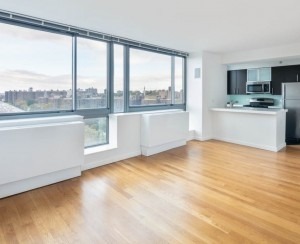 The city's most prominent apartment search site also has its own free app, the better to help you find apartments on-the-go. (Printing out a list of places then walking around the city feels hopelessly outdated at this point.) 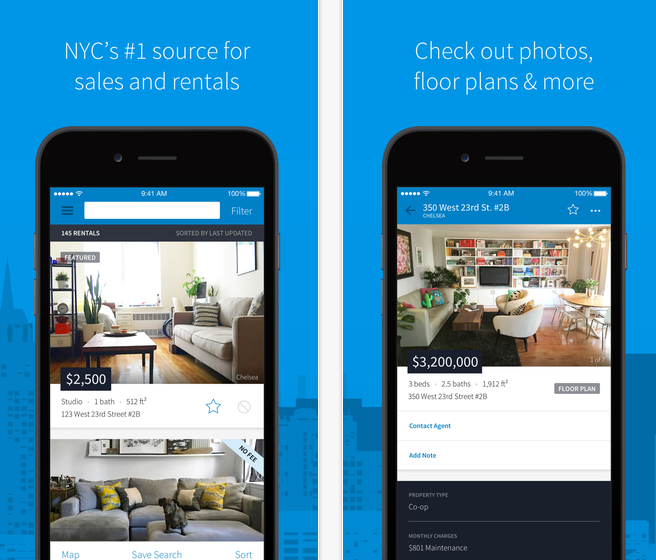 The app lets you scour for both sales and rentals in your preferred price range, neighborhood, etc., and also pulls up options in map form so you can see what's available immediately nearby, whether you're actively hunting for new digs, or simply getting the lay of the land in a neighborhood you've never visited before. While sitting at home with a pile of pad thai isn't the best way to explore the city, sometimes when you've had a long day or it's raining out, you're going to want to order in. After all, New York is famous for its 24-hour delivery options. And this app makes it easy to place an order with the touch of a button (and without having to phone one in). You can also filter search results by cuisine type and price range and, given the comprehensive range of restaurants partnered up with Seamless, the app can be a good way to browse options in your neighborhood that you plan to visit IRL. Whether you're splitting up utilities with roommates, reimbursing a friend for an epic cab ride, or divvying up the cost of a wine-soaked dinner, payment apps like Venmo or SquareCash are going to be your new best friend. (Some landlords are even accepting rent payments via apps these days.) Both are free, and have their own pros and cons—Venmo seems to be more popular, and may be the option most of your friends insist on, while Square Cash may be slightly more secure, and takes money out of your account immediately so you don't have to wait for your friend to cash out. No, you shouldn't be getting all your news from the free papers you grab in the subway. And yes, it's worth shelling out the $3.75/week for a digital subscription to the Times, though the app itself is free. (Or, you could do as one Brick editor does and order the paper for weekend delivery so you can savor the magazine in print and still get digital access.) Whatever your method, staying on top of the Times will keep you tapped into what's happening in this city, and guarantee you'll never find yourself at a cocktail party with absolutely nothing new to talk about. 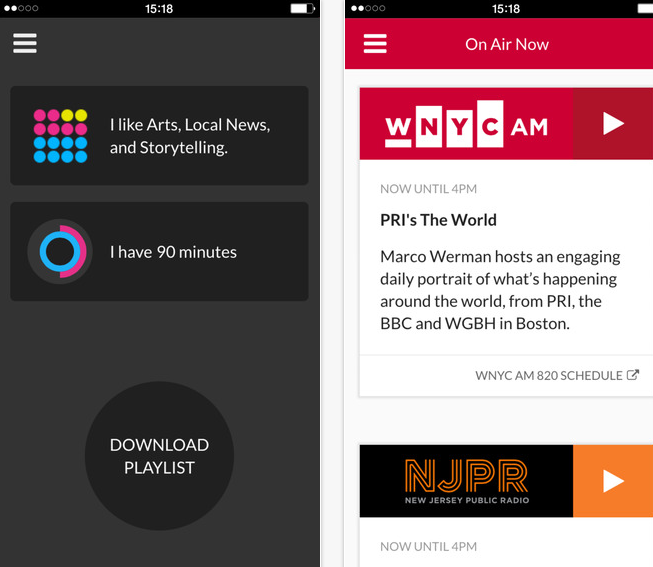 New York City's public radio station WNYC also has its own app, and is another crucial—and completely free—way to keep up with news and culture at the local, national, and international level. It lets you livestream whatever show's currently on the air, save episodes for later (we recommend starting with Brian Lehrer's can't-miss show), and also keep tabs on popular NPR staples like This American Life and Fresh Air. One area in which the cliches about New York are absolutely true: It really is close to impossible to find a reliable public restroom here if you don't already know where to look. Thankfully, Charmin took it upon themselves to make an app to help you find your nearest pit stop at any time. Download it now, and thank yourself later when you're out in an unfamiliar neighborhood and suddenly need to find a bathroom stat. Especially on the off-chance you find yourself funemployed (sorry, we meant "freelancing") when you first arrive, you're going to need to know where you can nurse a single cup of coffee for hours while you milk the free wi-fi for all its bandwidth. Another option for your cultural edification (and for serious architecture buffs), Buildings uses your location to find and inform you about particularly fascinating feats of architecture that might be nearby—and in NYC, that something interesting on just about every block. Granted, Uber isn't an easy company to love by any stretch of the imagination. 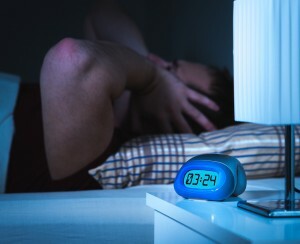 And while we'd always recommend hailing a yellow cab, getting to know your local car service options, or experimenting with other services like Lyft and $4 car-share service Via, loathe as we are to admit it, there have been plenty of late nights where the only option that got us home safely—and actually showed up when it was supposed to—was an Uber.​ And with the advent of Uber Pool—wherein you share your ride with other New Yorkers who are following the same route—it's now a lot more affordable, to boot. This one should be used sparingly, sure, but it's pretty invaluable to have on hand. Even if you don't consider yourself a major Broadway buff, a trip to the theater is an essential part of life in New York City. 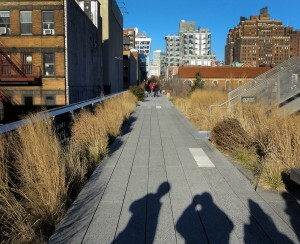 Unfortunately, it's also prohibitively expensive. 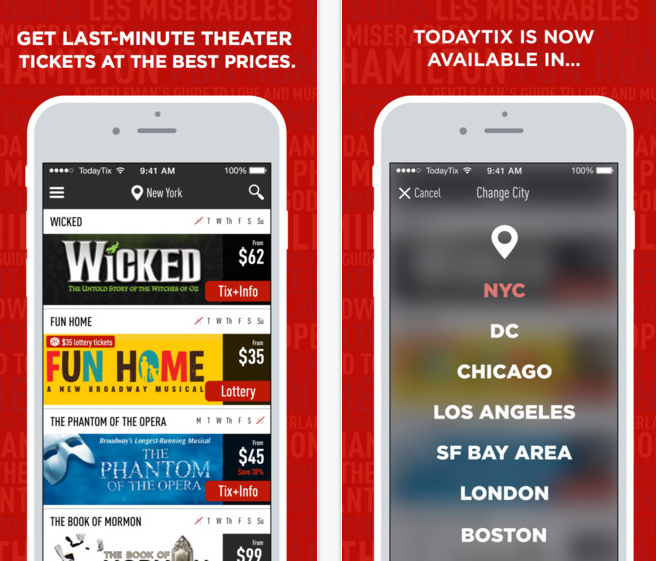 That's where TodayTix, which runs a daily list of discounted Broadway and off-Broadway tickets, comes in handy. It lets you browse potential options for cheap-ish tickets on any given day, and frequently runs lotteries for free (or even more steeply discounted) tickets. You probably won't get into "Hamilton", true, but you will get the chance to see world-class live entertainment on the cheap, and without waiting in the TKTS line in Times Square. You can get tickets up to a week before the performance.